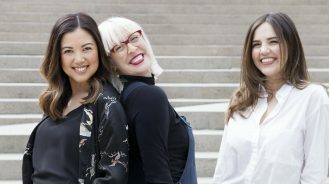 From Coco Chanel’s suite at The Ritz to Palazzo Versace in Dubai, some of the biggest names and labels in fashion have proven their good taste extends beyond clothing and accessories. 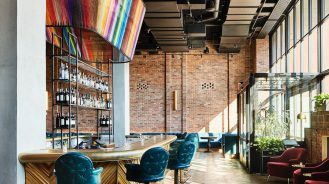 To kick off fashion month, we’ve rounded up 12 hotels and suites associated with fashion’s finest that give the term “designer hotels” a whole new meaning. 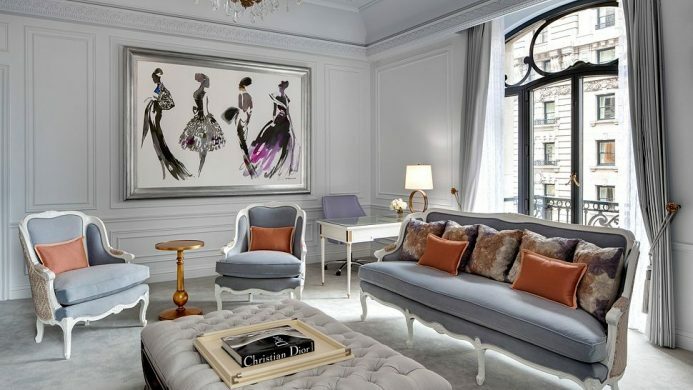 For a touch of Paris in New York, look no further than the glamorous Dior Suite at the St. Regis New York. 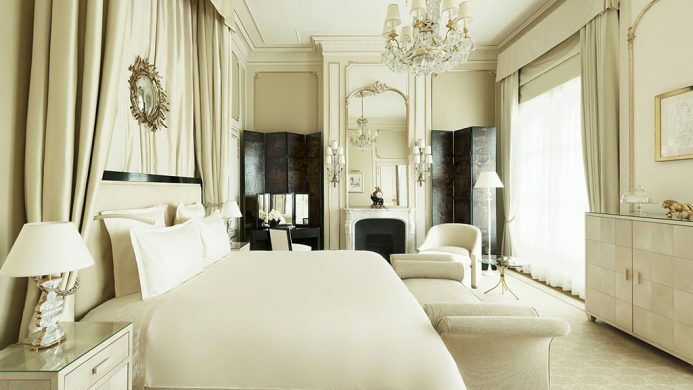 Distinctively Dior with its iconic palette of warm grays and pops of blush and cream, the suite was modeled after Christian Dior’s famous Avenue Montaigne headquarters in Paris and features many of the same elements, including high ceilings, crown moldings and ornate crystal chandeliers. Intimately linked to The Ritz Paris, Coco Chanel considered it her second home and lived there from 1934 until her passing in 1971. Meticulously refurbished but still remaining true to the way Coco left it, the Coco Chanel Suite at the Ritz Paris was furnished by the designer herself as evident by the elegant Asian lacquer details, gilded mirrors and the classic Chanel color scheme of black and white. Designed by Oscar de la Renta as a love letter to his home country, Oscar stayed true to his Dominican roots with the brightly hued, beachside boutique hotel furnished in a delightful mix of the designer’s famed fabrics and locally sourced artisanal items made with classic tropical materials like mahogany, wicker and rattan. 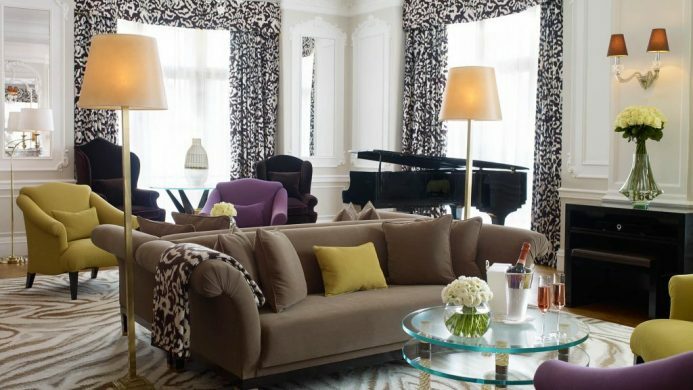 Renowned for her simple yet glamorous style, fans of Diane von Furstenberg would be remiss not to stay at the Piano Suite at the Claridge’s in London. 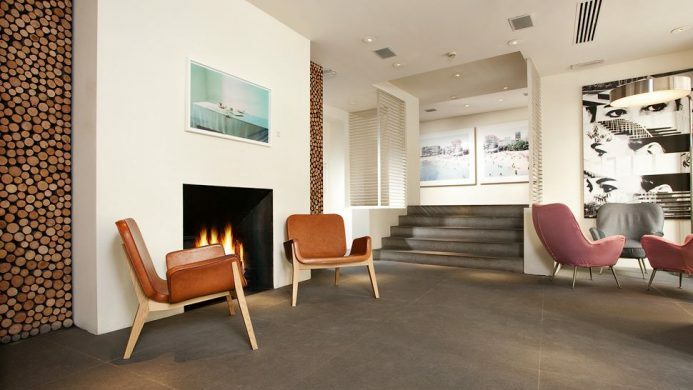 Designed by the Belgian-born designer herself, she spared no time making the suite her own with a bold raspberry and chocolate palette, marble fireplaces, Murano glass sculptures and her own travel photographs. 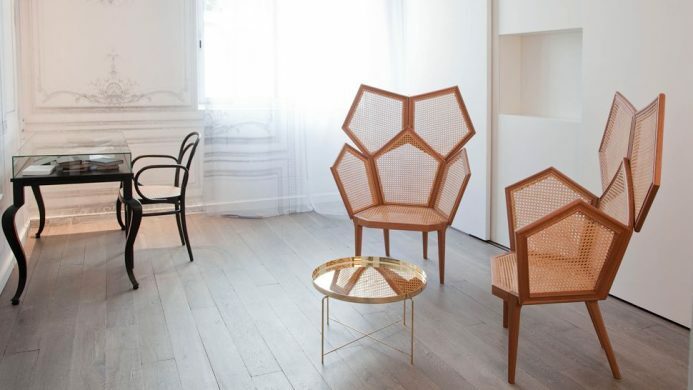 Surrounded by the Paris’ most iconic landmarks, the stylish La Maison Champs Elysees boasts the Couture Collection: seventeen rooms and suites decorated by Maison Margiela. Each of these rooms is not only unique but also redefines the concept of a living space with Margiela challenging classic luxury with his own masterful interpretation that mixes minimalism with trompe l’oeil whimsy. The St. Regis Rome, a storied landmark in Italy’s Eternal City, collaborating with luxury Italian fashion label Bottega Veneta makes a perfect fit. The Bottega Veneta Suite features the brand’s trademark neutral palette and home collection incorporated into the master bedroom. Opulent yet discreet, the spacious suite is a true reflection of Italian luxury at its finest. A man synonymous with haute couture, Karl Lagerfeld has made quite an impression on the hotel industry with his recent announcement that he will be opening his own hotel chain. 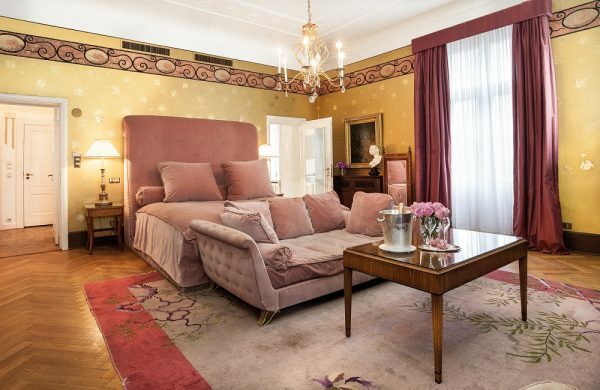 For a taste of Lagerfeld’s impeccable style, book the dramatic Grunewald Suite that he designed for the fashion-forward Patrick Hellman Schlosshotel in Berlin. 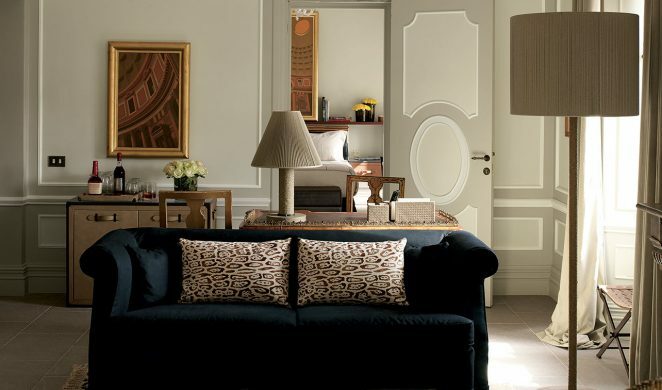 Fashion is evident the moment you arrive at the Continentale, one of the first boutique hotels in Florence. One of nine hotels owned by the Ferragamo family, the Continentale’s minimalist design was inspired by the all-white Sala Bianca of the Palazzo Pitti, a legendary venue where Italian designers held their runway shows—a refreshing approach in a city filled with Renaissance-inspired design. 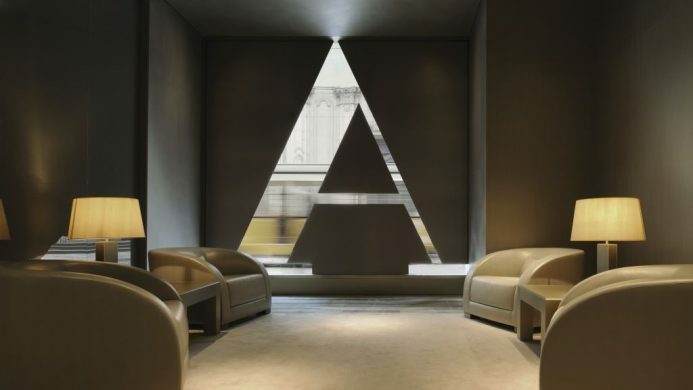 An oasis of good taste, the Armani hotels are an extension of the Giorgio Armani brand and feature the same elegant details, rich fabrics and monochromatic palette the fashion line is known for. Giorgio designed both hotels in Dubai and Milan (pictured), as evident by the attention to detail found at both properties. When there, make sure to pay a visit to the spa, which uses all Armani products and the latest wellness technology. As decadent and opulent as anything Versace touches, the Palazzo Versace Dubai is the physical embodiment of the House of Versace. 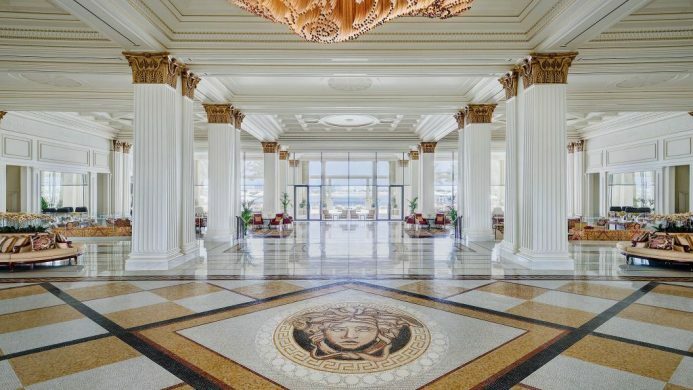 Fans of Versace will delight in the handcrafted Italian furnishings, branded amenities and signature Medusa heads found throughout the palatial hotel, while savvy travelers will appreciate the hotel’s dedicated service and close proximity to everything Dubai has to offer. Embodying the timeless glamour and heritage of the magnificent Roman jeweler, Bulgari Hotels and Resorts are located in major cosmopolitan cities and luxury resort destinations around the world. 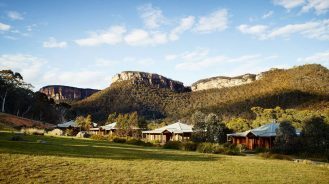 Like the jewelry they’re renown for, each property has been carefully considered and incorporates the culture and natural elements of the location. 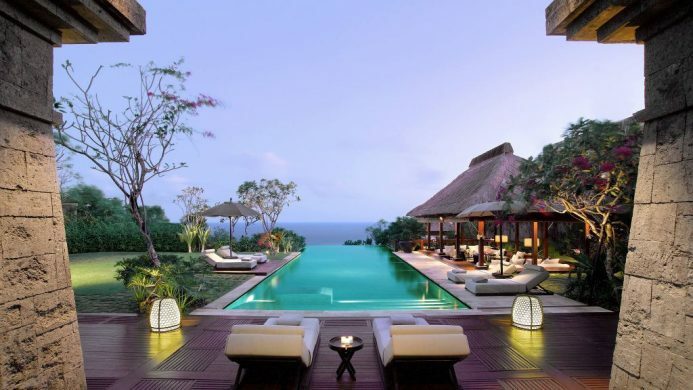 Their resort in Bali features hand-cut volcanic stones, exquisite Balinese art and striking architecture—it’s the perfect example of what Bulgari conveys time and time again. 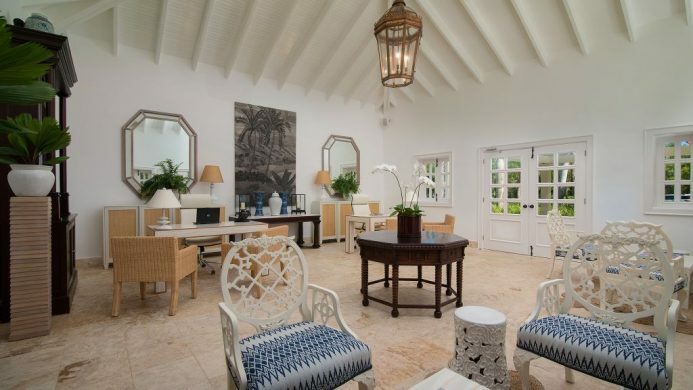 If an island getaway outfitted by Ralph Lauren’s trademark classic style sounds like heaven, a stay at the Round Hill Hotel and Villas in Jamaica is a must. 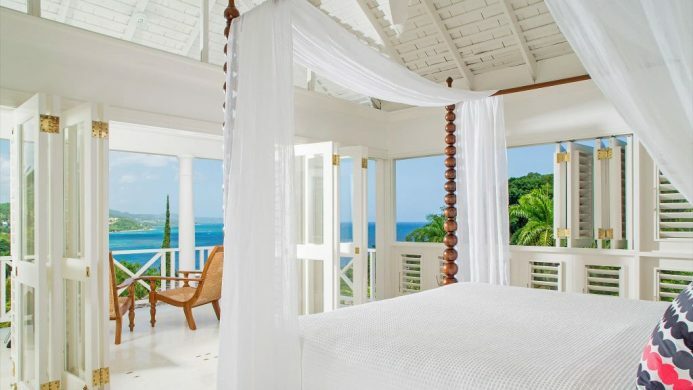 The 36 oceanfront guestrooms, all renovated and designed by Ralph Lauren, feature four-poster mahogany beds, Egyptian cotton sheets and furnishings from the designer’s home collection.